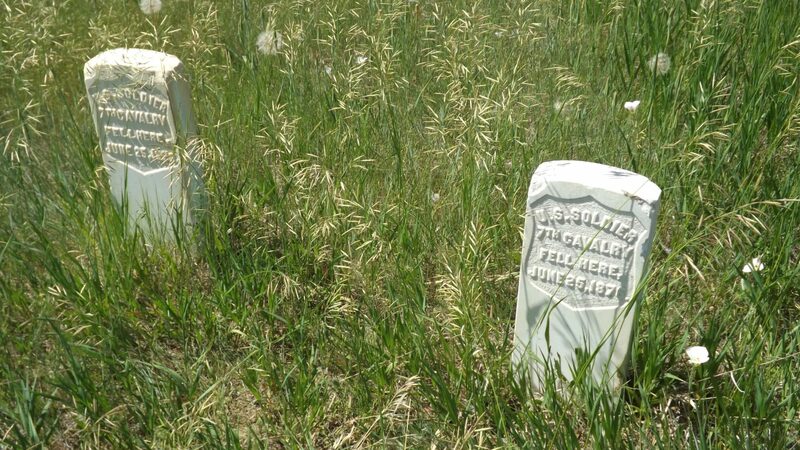 As you plan your travel to some of the large National Parks in the west, like Glacier National Park and Yellowstone National Park, you may want to include one of the lesser known national park units in the area – Little Bighorn Battlefield National Monument in Montana. It’s just off the Interstate 90, east of Billings Montana, on the present-day Crow Indian Reservation. This is the site of one of the great battles between the Indians and the US Army. Spoil Alert - the Indians won and Custer died! We found the history to be very interesting. In the mid-1860’s the US government had negotiated a treaty with the Indians to give them a reservation in eastern Wyoming, with guarantees that the government would protect them and let them live there in peace. We learned about this at Fort Laramie National Historic Site. This peaceful resolution lasted only until prospectors found gold and white men began to flood into the Indian lands looking for riches. The US army tried but couldn’t protect them and efforts to buy the land from the Indians failed. In retaliation the Indians began once again to raid settlements and travelers. Finally the US government ordered the army in. One of the regiments was led by Lt. Col. George Custer, a veteran of many other battles – Bull Run, Washita, Antietam and Gettysburg to name a few. 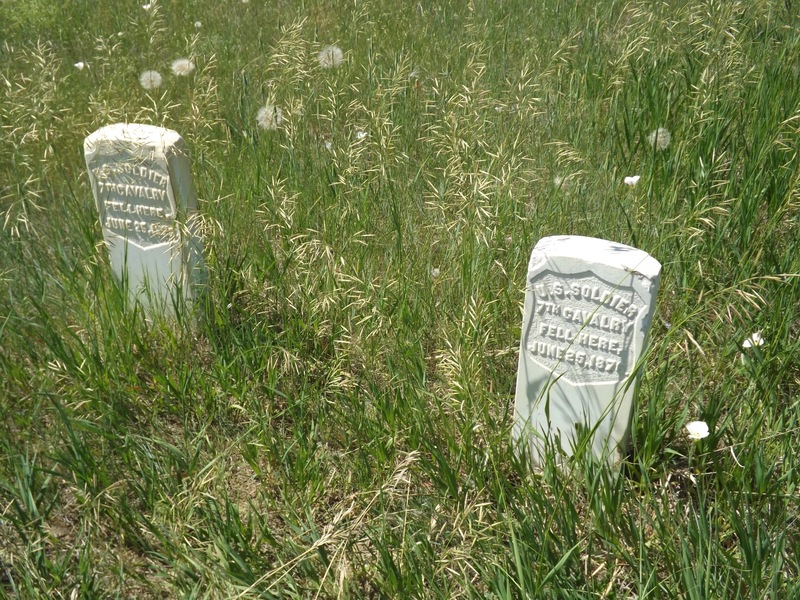 This was to be Custer’s last battle. The US forces of fewer than 700 went up against some 10,000 Indians. 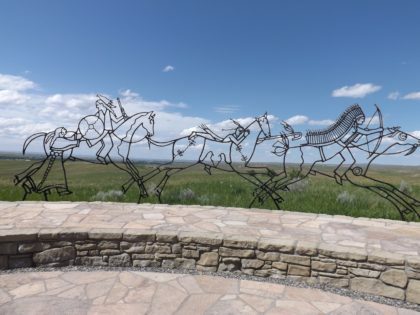 When you visit Little Bighorn Battlefield National Monument, you should begin at the Visitor Center. As always the movie and exhibits give you a good sense of what the monument is all about and why the government chose to protect and preserve this area. Depending on the time of year, there are a few walking paths that begin at the visitor center. We didn’t do any of the longer ones because it was too hot when we visited in the summer months. However, we did walk out to the Indian Memorial and would highly recommend that. The interpretive markers are really interesting. From this viewpoint you can reflect and envision the battle. Beginning at the visitor center, there is a 4 1/2 mile audio interpretive trail that takes you through the park. You stop at different waypoints and learn more about the battle. Plus it is a really nice drive, scenic with views of the Little Bighorn river. Hint: This is the same river that flows through Bighorn Canyon National Recreation Area - another gorgeous place to visit if you have the time! If you are planning a trip to Montana and Wyoming consider visiting some of the smaller national park units. 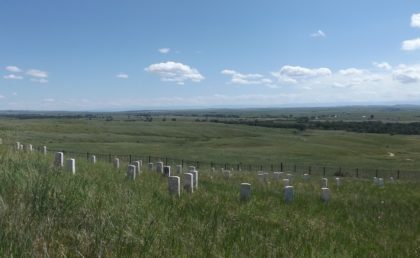 While many of the larger parks display the natural beauty that is American West, the smaller, less visited parks like Little Bighorn Battlefield give you a vision into the complex tapestry of our American history.